Attention: Smart Home Buyers, Investors, Multi-generational Families, and Small Business Owners. Live, Work, and Earn Income! 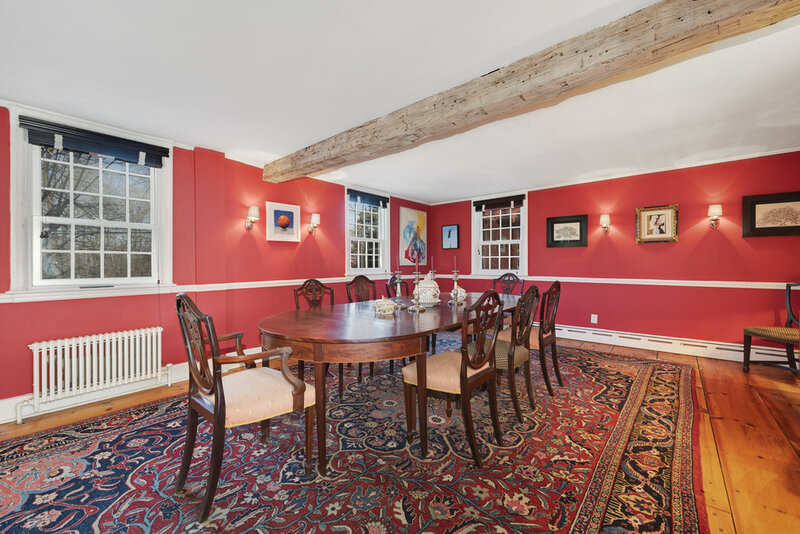 This historic compound includes a 6 bedroom main house, a large 2 bedroom rental cottage, a 1.72 acre buildable lot, and a large office/gallery/living space. With multiple ways to generate revenue, have this beautiful estate pay for your luxury lifestyle. Keep “as-is” or develop the lot, sell the lot, rent out the spacious Guest House, rent out the large main house and/or utilize the converted barn to house your entire work team or host events. The ultimate in options, this fully updated Connecticut estate with pool, tennis court, jacuzzi, sauna and large Bloomberg-capable barn is ideal for 1031 investors, weekenders, homeowners, as well as organizations (art galleries, funds, family offices) who seek the best. Enjoy New England luxury with all the amenities of the 21st century. While the original pre-Revolutionary heart was built in 1770, everything including wiring, plumbing, security, HVAC and windows, etc, have been fully updated. It is a modern home wrapped in classic architecture. 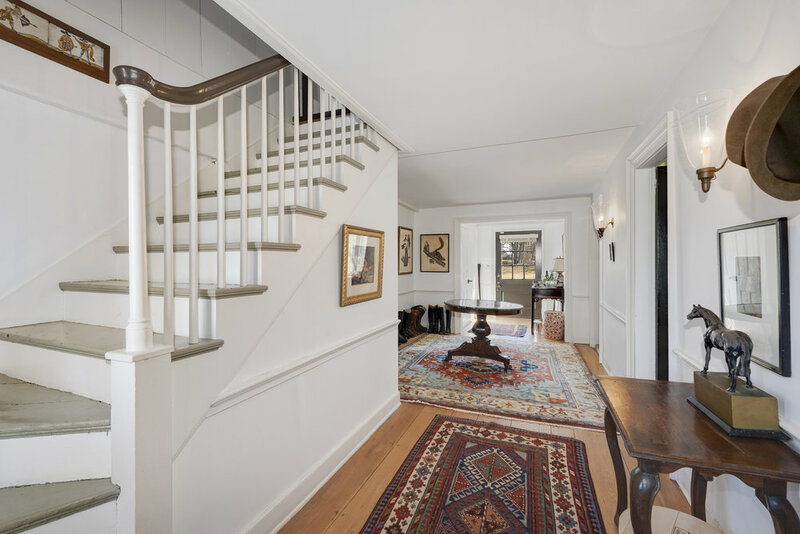 Enter the gracious entry hall that leads you to a large living room with fireplace, beamed ceiling and original chestnut floors. 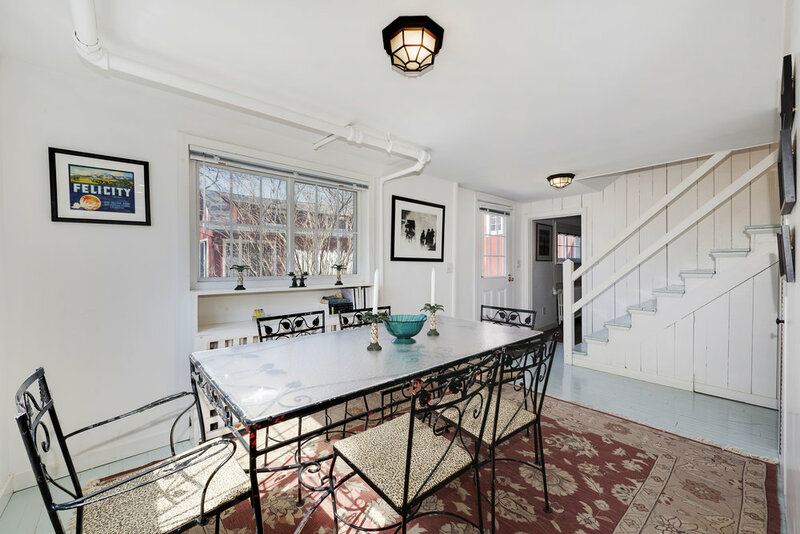 From here, 2 cozy bright sitting rooms offer additional fireplaces and access to the first floor powder room and the side porch. Entertain in grand style in the banquet sized dining room with beautiful wide plank pumpkin pine floors. 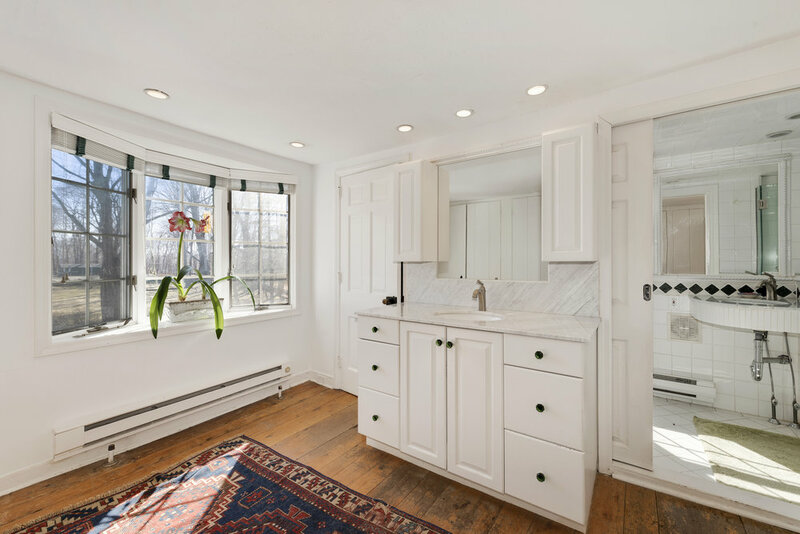 The bright, new kitchen boasts granite counters, stainless steel appliances and hardwood floors, and includes a spacious informal family area with automatic gas fireplace and pastoral private views of the sweeping back lawn, gardens and guest cottage. Everywhere here friends and family can relax in cozy comfort. 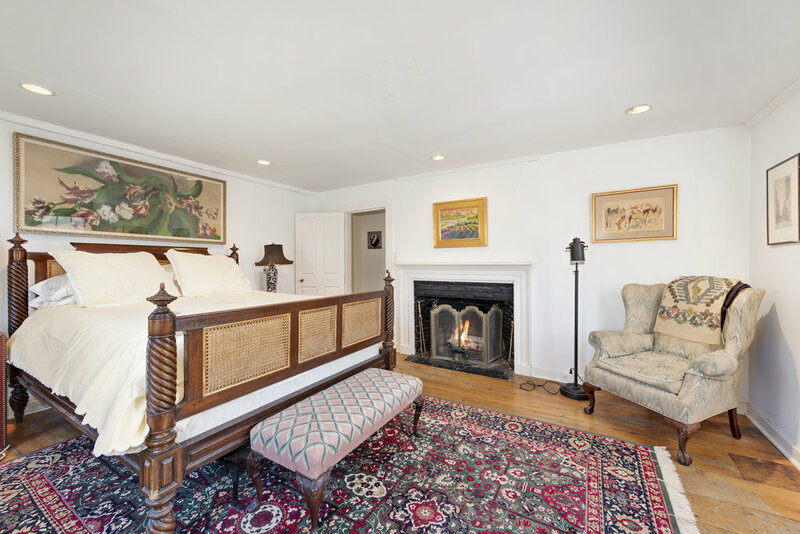 Upstairs, you find an expansive 3 room master suite with its own fireplace. Included in the suite are a bedroom-size walk-in closet, a separate cedar closet, and a multi-room full bath with marble countertops. 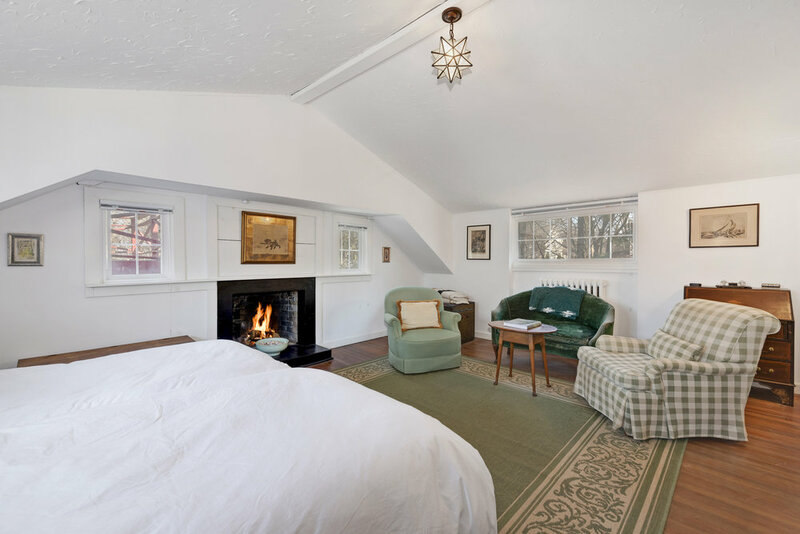 Off the master suite is a terrace overlooking sweeping level lawns, mature trees, and hand fashioned stonewalls. Convenience is everything. A sixth bedroom is now employed as a spacious second floor laundry and office. There are numerous closets throughout the house. There are two more bathrooms (one with a steam shower) and three additional bedrooms, one of which includes an en suite bath. 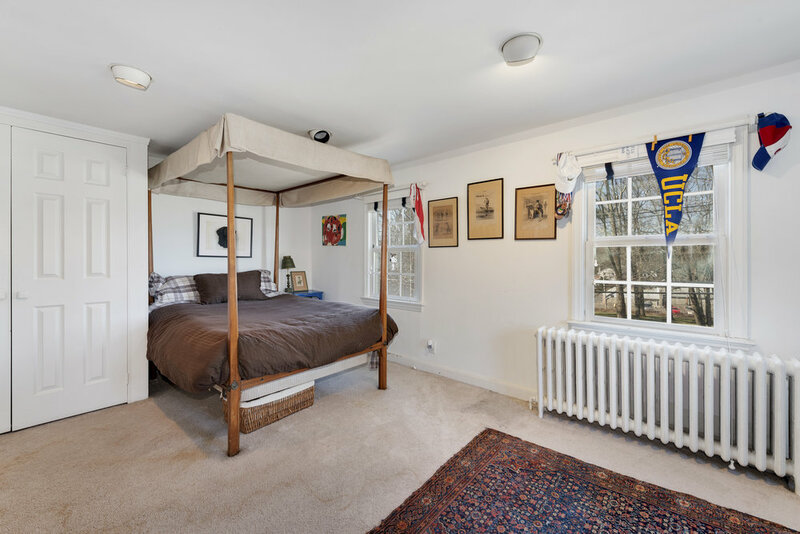 A quick trip to the third level reveals two huge rooms whose cathedral ceilings belie a coziness that fits their use as either playrooms or additional bedrooms for when guests decide to spend the night. Here too you find ample storage space including a second oversized cedar lined closet. Off the kitchen garden, on the other side of the courtyard is the fully modernized guest cottage with its own garage and private driveway entrance. The cottage offers the option of a legal rental income unit, or use it as an in-law or caretaker’s cottage, or even an Air BnB. 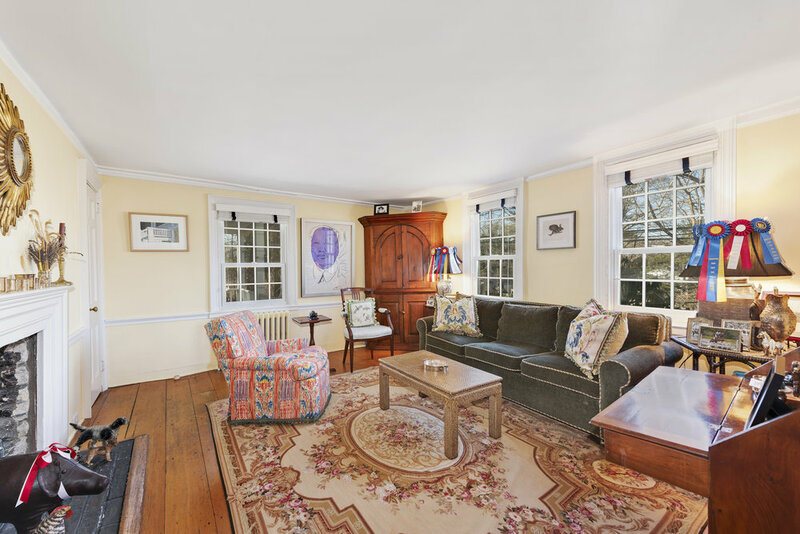 Continuing the wonderful blend of character and modern convenience, on the ground floor beyond the generous mud room is a large living room with fireplace. The modern kitchen is distinguished by granite counters and new appliances. There is a spacious dining room and nearby, a full bath with washer and dryer. Upstairs is a second full bathroom with a claw foot tub and subway tile. 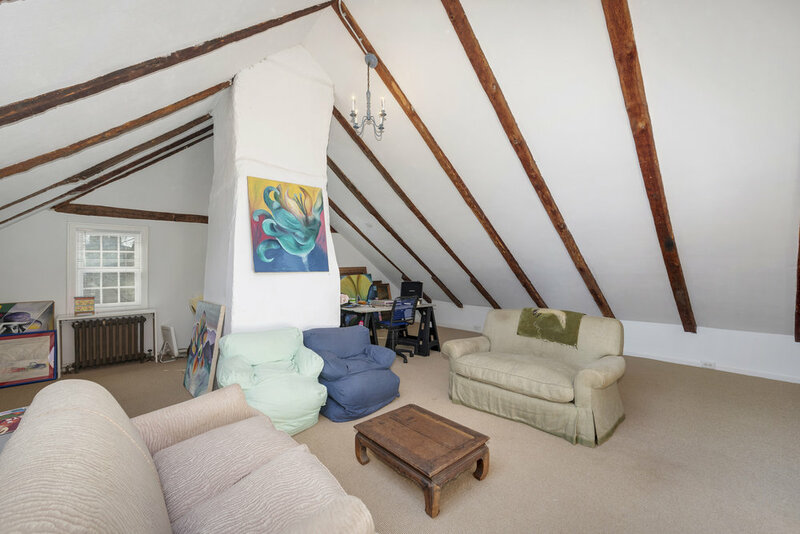 Two bedrooms with vaulted ceilings - one with a fireplace and a dressing room, the other with a wide terrace - overlook the grounds. Central to the cottage and the main house is the “barn”. In the converted barn/creative space, you are welcomed into a large entry with herringbone brick floors, hand hewed beams, and a large wet bar with Waterworks fixtures, custom cabinetry, bead board and mahogany counters. A few steps lead to the soaring great room with original farm beams, gleaming wide plank floors and bright skylights. 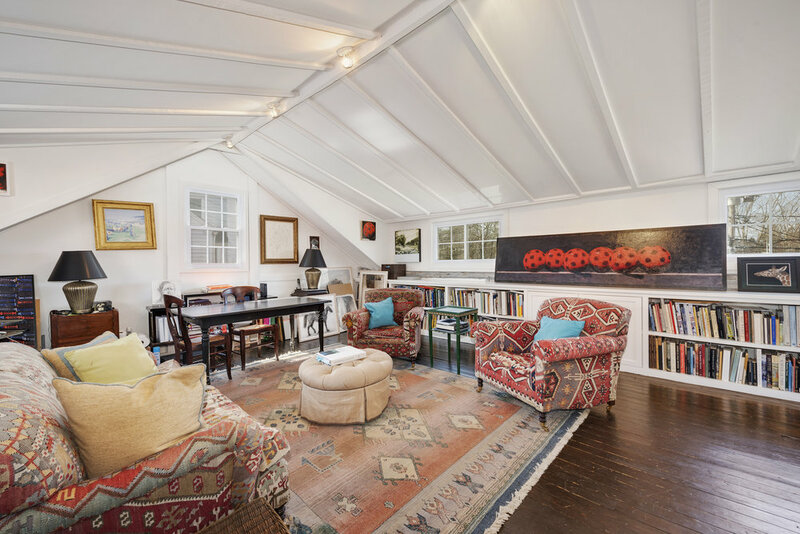 Several other rooms tangent off the barn include a loft office/living space or office, a separate large study/office, a separate dining or conference area, and a beadboard paneled mudroom. A refreshing surprise are the paneled jacuzzi room with glass french doors, large sauna, and a full bath with Waterworks fixtures. Even more astonishing is the fully climatized corridor room - which is currently used as a dog kennel, with its own entrances. 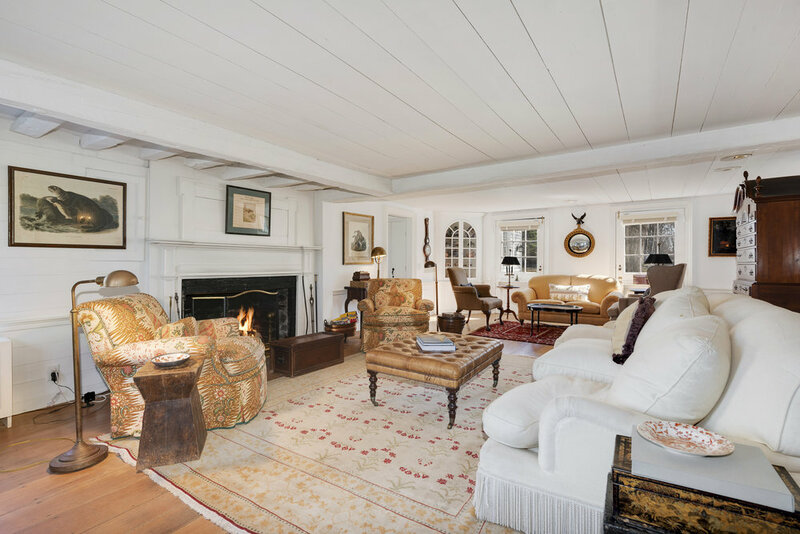 This is a remarkable opportunity to own a one of a kind storied Connecticut estate, with all contemporary amenities to satisfy today’s lifestyle. What truly distinguishes this property is the multiple income scenarios for savvy buyers. Currently the legal separate cottage is rented and receives between $3,500-4,500/month. If you have a business, charge it rent and house your team in the barn to pay the mortgage. The superb multi-use “barn” is perfect as offices, art gallery, entertaining space, media room, gym or dynamic additional living space - all with luxury finishes and fixtures. There is even a fully divided 1.72 acre adjacent building site which has its own well and access to city water and gas. The lot has 300 feet of frontage on Heming Way, a quiet cul de sac of luxury homes. With rental options and the extra lot, you can monetize the property today or tomorrow, or never. That’s because the entire estate is absolutely gorgeous and everything is move-in ready. Some of the features throughout include original hand hewn timbers, 3 wood burning fireplaces, 2 gas burning fireplaces, wide plank floors, a large living room for gracious entertaining, a sunlit library for lounging, a banquet size dining room, and an eat-in kitchen with fireplace and garden views. With its august history, modern conveniences, and flexible layout, Highfields awaits its new owner. With separate but equally fabulous options, a smart buyer can really make this estate work for them!